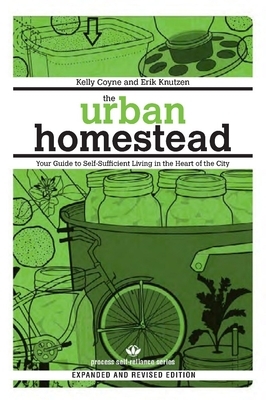 Kelly Coyne and Erik Knutzen are creators of the blog homegrownrevolution.org, a green living and self-sufficiency resource for urbanites. They contribute regularly to Daniel Pinchbeck's new online magazine, realitysandwich.com. They live in Los Angeles. Kelly Coyne and Erik Knutzen are creators of the blog homegrownrevolution.org, a green living and self-sufficiency resource for urbanites. They contribute regularly to Daniel Pinchbeck's new online magazine, realitysandwich.com. They live in Los Angeles.